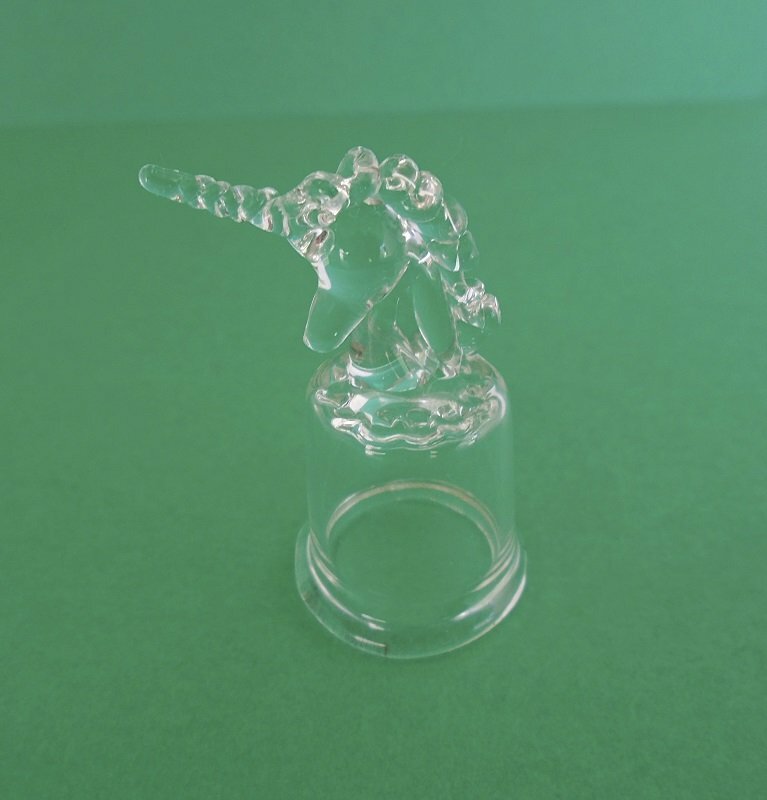 Clear glass thimble with the top in the shape of a unicorn. Stands 1.75 inches tall to the end of the horn. No markings, unknown date. Estate find. This thimble, in the shape of a unicorn, is made of clear glass and stands almost 1.75 inches tall. I purchased it at an estate sale so I have no info on when it was made. There are no chips or cracks. Sorry about the quality of the photo, clear glass is very hard to get pictures of. Buyer to pay USPS First Class Mail Parcel delivery charges of $3.99. Deliver is from California.